When you purchase a diamond, you want to go someplace where the jeweler is a graduate gemologist and highly knowledgeable. If you are a novice, this can often be difficult, because you have to do a lot of research. When you do your research, you will find a lot of retailers around your city or community. What you won’t find, though, is the rundown on the type of jewelers you are going to be dealing with. Knowing the type of jeweler you are going to encounter at various retail locations will allow you the opportunity to make much smarter buying decisions. Here are the five types of jewelers you need to know about. 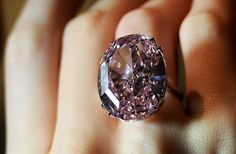 Purchasing loose diamonds is a lot different than purchasing diamond rings or other diamond jewelry, because there is a good chance that you are purchasing it wholesale or from a broker. If this is the case, it is a lot easier to get burned. For one thing, you often aren’t purchasing from a name-brand retailer. 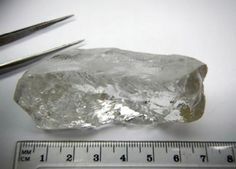 Loose diamonds often come with a cash-in-hand deal. This is why you want to have a few pointers so that you don’t get scammed. Here are some things you should know about purchasing loose diamonds so that you don’t get burned. 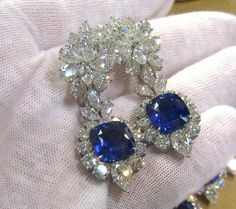 This year has been really exciting in the world of jewelry. 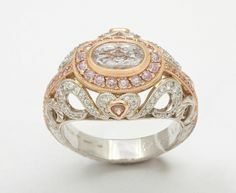 It seems like jewelers are starting to go against the grain and experiment with some really fascinating designs. It’s not to say that there haven’t been some truly breathtaking designs in the past, but creativity seems to be really running wild these days. Never before has it been so easy to tell who designed a ring the moment that you look at it. That’s because some of today’s top designers are really coming into their own. If you are getting married this year, you are in luck, because there are a lot of ring designs out there that will sizzle on your finger. Planning a wedding can be a serious headache, but it can also be really exciting. In a previous article, we talked about planning your wedding décor, but another factor that is equally important is party favors. Your wedding is a big day, so you want your guests to walk away with something that is really special – something that commemorates. Of course, you want this wedding party favor to be useful and you want the gift to be easy to maintain, which is why you don’t want to offer any live gifts, like puppies or birds. Here are some tips for choosing the best wedding party favors. 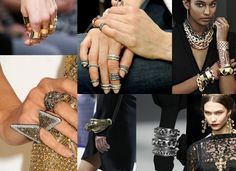 When people talk about new spring jewelry trends, you can’t help but wonder how new any of it can be. It seems as though fashion trends are always recycling themselves from year to year and from season to season. One day it’s chunky statement jewelry, the next it’s fine, delicate, minimalist jewelry. We love to pull vintage and antique themes from the past, and then we presuppose what we assume the looks of the future will be. That said, this spring really has brought on some truly unique styles that are sure to inspire the fashionista in all of us. If you’re looking to spruce up your jewelry box, here are the spring jewelry trends that you might want to incorporate in your new spring ensembles. You may have spent a lot of time fantasizing about your wedding throughout your life, but that doesn’t mean that you know exactly where you should start when it comes to your wedding decorations. After all, it’s not just about the decor, it’s about the overall ambiance that you create. Finding the right aesthetic for your big day is something that takes careful consideration and it depends on a lot of factors that won’t be determined until you find a date and location. Once you have those two major questions answered you will be able to start working out the rest. The main thing you want to remember is that the vibe of your wedding has to be a clear reflection of your personality, and it also has to reflect the bond that you have with your fiancé. From there you want to use all of your five senses. Here is how to start planning your wedding decorations.